Tisserant, Eugène, b 24 March 1884 in Nancy, France, d 21 February 1972 in Albano, Italy. Cardinal and Orientalist. After being ordained in 1907, he studied at the Sorbonne and in Jerusalem and then taught in Rome and worked in the Vatican Library. He was made a cardinal in 1936 and dean of the College of Cardinals in 1951. As prefect of the Congregation for Eastern Churches (1936–59) he visited Ukrainian Catholic communities in North America in 1947 and 1950, and supported the creation of Ukrainian Catholic metropolies in Canada and the United States, and exarchates or vicariates in Australia, Western Europe, and South America. 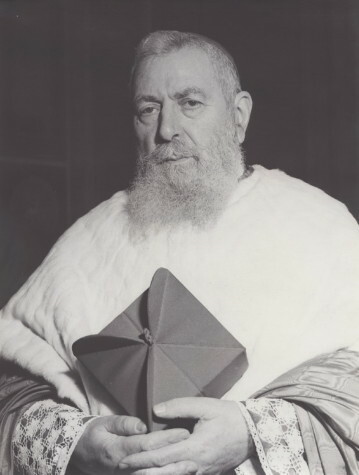 He also founded the Saint Josaphat’s Ukrainian Pontifical Seminary in Lourdes. Tisserant defended the right of churches to maintain the Eastern rite, and warned against universal Latinization. In later years, however, he was seen as an opponent of the patriarchate movement and a supporter of the Vatican’s Ostpolitik. He also supported various Ukrainian community institutions, including the Shevchenko Scientific Society in Sarcelles and the Ukrainian Free University.